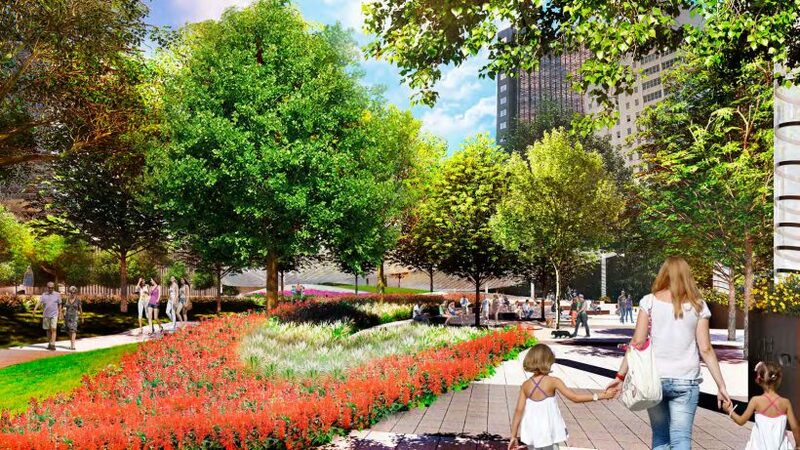 Dallas residents are set to see some major changes coming to the downtown area as the city will soon begin construction on four, all-new public parks. 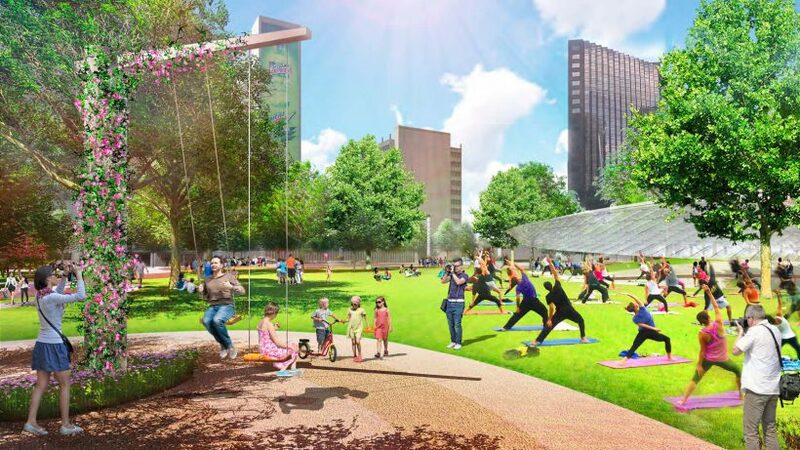 With the Dallas City Council recently approving a development agreement with non-profit organization, Parks for Downtown Dallas, the stage is set to transform some of downtown Dallas’ urban areas into family friendly, public green spaces poised to attract residents near and far. One of the four parks soon to begin construction is Pacific Plaza Park, a 3.2 acre neighborhood park soon to replace a concrete parking lot that many deem an eyesore. The upcoming park will be situated at the corner of North St. Paul Street and Pacific Avenue adjacent to Pacific Place, a Class-A, multi-tenant office skyscraper owned and managed by commercial real estate firm, Boxer Property. Located at 1910 Pacific Avenue, many who work within the building welcome plans to construct a new park including Boxer Retail & Resorts President, Michael Pariza. Boxer Property tenants at 1910 Pacific Avenue are looking forward to the improved connectivity that’s to come with the addition of Pacific Plaza, which will drastically improve walkability in the high density area. Enhanced pedestrian connections and traffic-calming features will aim to create a safer and more peaceful downtown scene. Employees working in the area will be able to conveniently access nearby transit as well as residential and office buildings in the area. 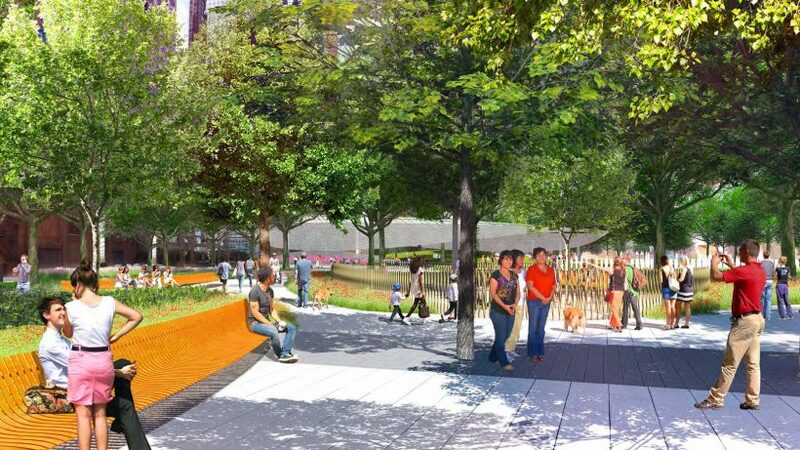 With the future park being located near homes of many downtown residents, many families look forward to the added level of safety and security the park will bring. Downtown Dallas is currently experiencing a boost in residential activity as more and more families are starting to relocate to the area. It was only ten years ago that the district’s population included only about 250 families. The number of downtown residents is much higher today, meaning the need for neighborhood parks has become more vital than ever as it’s sure to have an impact on future generations living in the area. 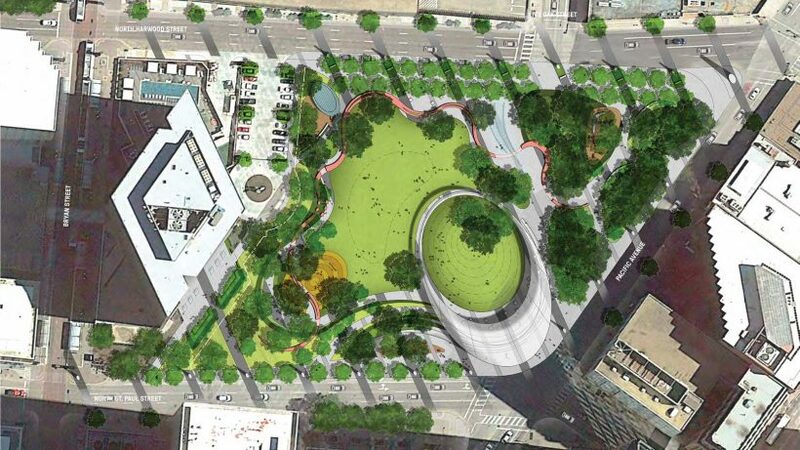 With 1910 Pacific Avenue being located in the heart of the Central Business District, the idea to turn the neighboring concrete parking lot into a public park has been in development for a little over a decade. In 2006, Robert Kent of the non-profit organization, Trust for Public Land, partnered with the City of Dallas to purchase the 3.2 acre land for approximately $9.1 million. 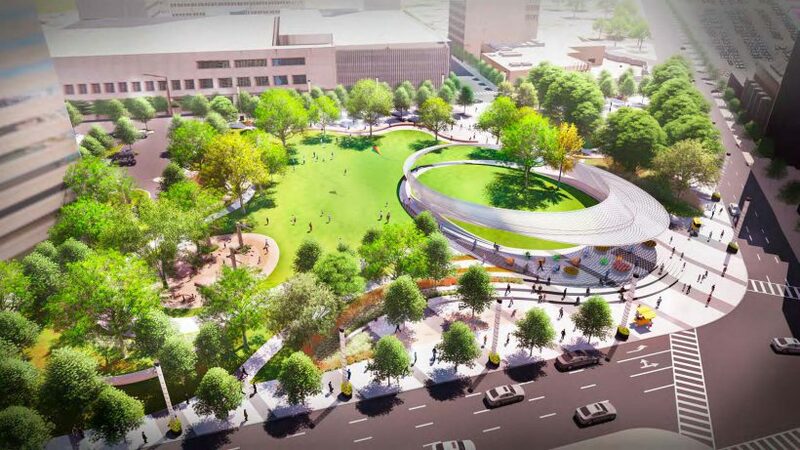 Fast forward to 2017 and plans to construct the park are finally underway thanks to a $15 million gift donated by non-profit group, Parks for Downtown Dallas, to construct the park. 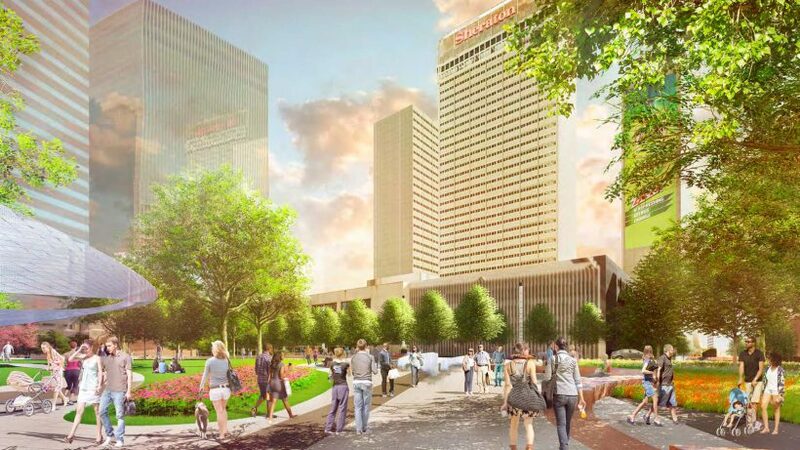 With plans for the much anticipated park finally moving forward, Parks for Downtown Dallas hopes to see construction begin in early 2018 and should take approximately 12 to 18 months to complete.